Fan-favorite author Bree Despain continues her modern-day romance trilogy inspired by the Greek myth of Persephone and Hades with this second book in her Into the Dark series. Haden Lord, the disgraced Prince of the Underrealm, has chosen love over honor and will do everything in his power to protect Daphne Raines, the human girl he was supposed to bring to the Underrealm. Haden's choice is put to the test as the Skylords and a figure from his past arrive in Olympus Hills with a plan that could destroy all of the realms. Embracing her destiny as the Cypher, Daphne begins to understand the immense power of her musical ability to control the elements, but she must come to terms with her feelings for Haden and what she must sacrifice in order to protect him and her friends. 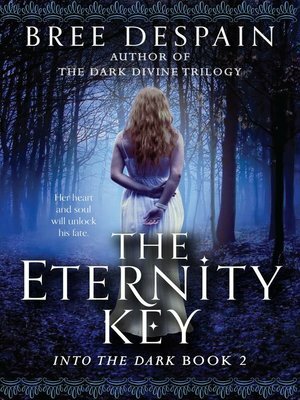 Believing the Key of Hades is the only thing that can stop the Underrealm Court from releasing the monstrous Keres on the mortal world, Haden, Daphne, and their friends set out to find the Key before Persephone's Gate opens again on the spring equinox. Bree Despain is the author of The Dark Divine trilogy and the Into the Dark trilogy. She currently lives in Salt Lake City, Utah, with her husband and two sons. Visit her online at www.breedespain.com.